‘Fifteen men on a dead man’s chest; yo-ho-ho, and a bottle of rum’: so Robert Louis Stevenson introduced the pirates of Treasure Island in 1881. The history of piracy has become mired in cliché and in many people’s minds fact and fiction have become blurred. During the seventeenth and eighteenth centuries the activities of pirates, and their legal counterparts privateers, were of considerable economic, military and political importance. This module aims to explore the reality of piracy and privateering activity in the seas around the British Isles and further afield. It will investigate the reasons behind piracy and privateering. This course also examines the social history of piracy and privateering - how and why men (and women) became pirates, the organisation of pirate society, pirate ports and the economic impact of piracy and privateering. The activities of foreign pirates and privateers, such as those from North Africa, who preyed on British shipping and ports, will also be studied. 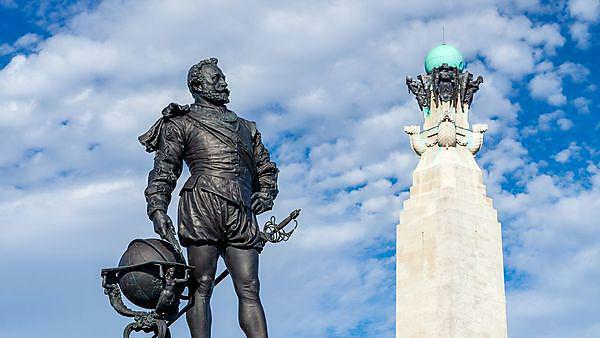 This module will draw heavily on the history of the Plymouth and south west region with the careers of local pirates and privateers such as Sir Francis Drake, John Hawkins and Henry Avery all being examined. Fictional depictions of pirates in movies, TV shows, music and theatre will be utilised in conjunction with a wide range of contemporary accounts of piracy. We will examine key primary sources such as Charles Johnson’s A General History of the Pyrates (1724) and A. O. Exquemelin’s Buccaneers of America (1678). Students taking this module also make use of an extensive range of reading from leading historians in the field such as Marcus Rediker, Claire Jowitt, David J. Starkey and Mark Hanna. Dr Elaine Murphy talks about her research into the British Civil Wars in the 1640s and 1650 and the role of women in naval history.